In their large-scale study, Teresa Amabile and Steven Kramer have discovered that making progress in meaningful work is a main contributor to a positive work life and to good performance (Read more about this study, here). 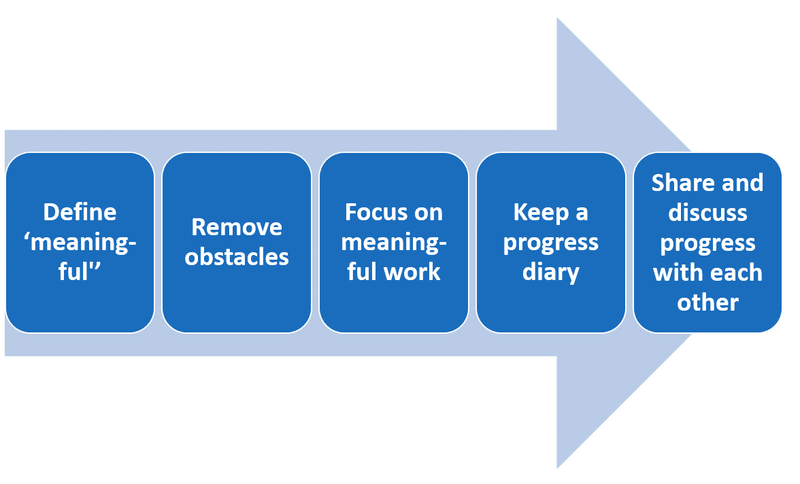 Here are a few practical suggestions to harness the power of meaningful progress. My suggestion is to give it a try. I would appreciate it if you let me know how it worked!